The First Squad reports the details of an arrest for Burglary that occurred on Wednesday, August 20, 2014 at 1:31 am in Roosevelt. Roosevelt, NY - August 20th, 2014 - The First Squad reports the details of an arrest for Burglary that occurred on Wednesday, August 20, 2014 at 1:31 am in Roosevelt. According to detectives, First Precinct police officers responded to a business alarm at Amigo Deli, 369 Babylon Turnpike. Upon arrival officers observed a wall unit air conditioner pushed in and heard noises inside the store. Emergency Services officers arrived at the scene and gained entry into the building. Decasta Johnson, 43, of Botsford Street, Hempstead was found hiding in a rear storage room and was placed under arrest without incident. 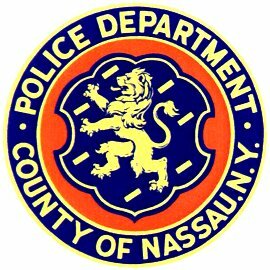 The defendant is being charged with Burglary 3rd Degree and will be arraigned on August 20, 2014 at First District Court, Hempstead. Subject: LongIsland.com - Your Name sent you Article details of "Hempstead Man Arrested for Burglarizing Roosevelt Deli"